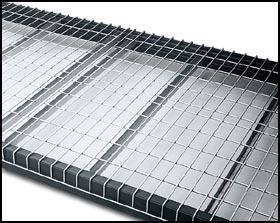 Wire Rack offers Industrial Stage Products which can save you time and space. We have what you need. Our business is to weigh your goals, and deliver a system to compliment them. Our highly trained designers will take the measurements of your space, and assure you get the most possible stage. You can be assured the best setup f your needs. Befe you commit to expensive lease space, give us a call. Many of our Wire Rack shelving systems will pay for themselves, just in lease savings alone! With decades of hands on design, installation, and manufacturing experience, no other shelving company has the expertise to match that of NationWide Shelving. We have installed thousands of shelving systems all over the nation. We understand the stage challenges you face, and have designers ready to create innovative solutions. Interlake Pallet Rack is a leader in steel stage products, and that allows us to deliver a product with quality second to no other. Since Nationwide Shelving is a top shelving provider, we are able to keep our prices low, virtually beating any price f our products on the market today.